Infinite SF’s Grand Opening Party. March 26th, I don’t know where you’ll be at if you in the Bay Area, but if your in the SF area, make your way down to the new Infinite spot on 627 Post St. 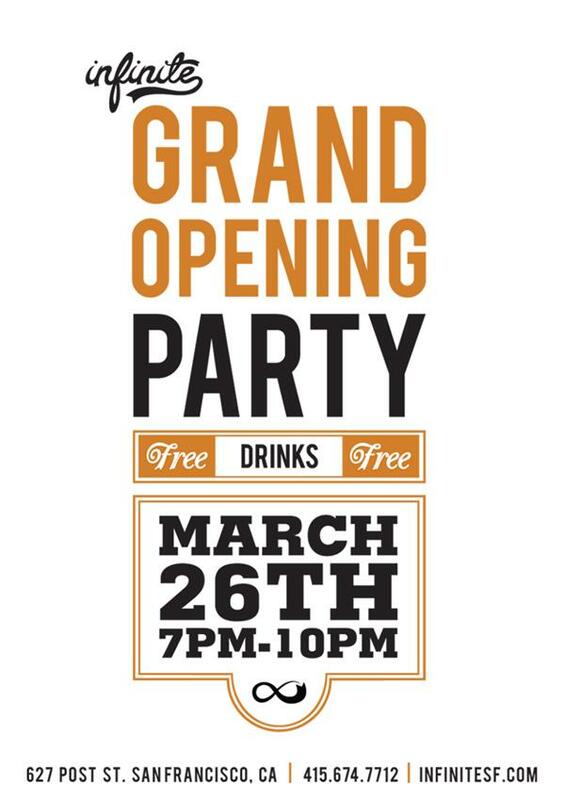 The entire Infinite crew will be celebrating the opening of their new location, yours truly DJ Storm will be in attendance, (there will be free drinks, so you know I’ll be around.) And if the drinks are your main attraction, come thru for the ridiculous clothing selection. Infinite has Diamond, Freedminds, Crooks & Castles, Play Cloths, Rebel 8, Benny Gold, GPPR, Mister, Acapulco Gold, and swag to spare. Check the method. I’m looking forward to this! It sounds like its going to be wonderful!